More good news from behind the lines! Our 3rd Citation V (603HC) is now equipped with the GOGO ATG-2000 Wi-Fi suite. 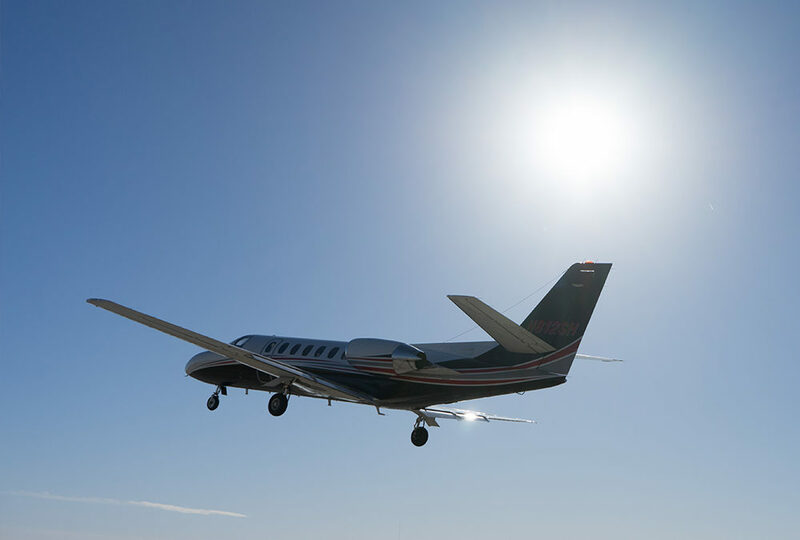 With this completion, we can now profess our complete Citation 560 fleet (soon to be 4) is equipped with Wi-Fi for your flight and entertainment pleasure. It is interesting how just 12 months ago we were asking ourselves if this was something we needed to do. Is it cost effective? Can we justify the cost? Can we re-coop the cost? Do people really want it, and will they pay for it? The general consensus is a resounding YES! The charter industry has changed to a point where people have to have it, and will opt for one provider over another, or for one airplane over another, to be sure they can “stay connected.” Wi-Fi is now an industry standard, and nothing less is accepted. We have chosen as a company that Wi-Fi will be installed in all of our 560 series aircraft and higher going forward as we bring them on board. The people have spoken, and we have listened!